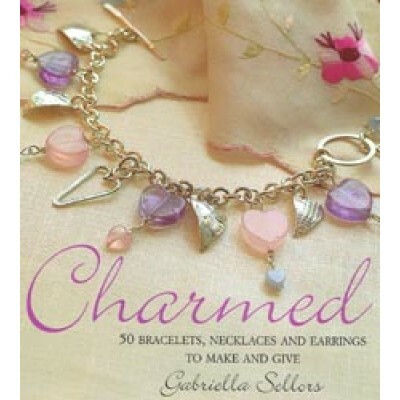 Charmed 50 Bracelets Necklaces and Earrings to Make and Give by Gabriella Sellors. Softback colour 128 pages. Charms have been prized since ancient times for bringing good fortune healing and protection. This beautifully simple guide reveals how to make charm bracelets earrings necklaces and more all you need to get started are pliers wire or chain and your favourite charms or gemstones. 50 Stepbystep projects and easy to follow techniques Charmed shows how to make pretty items for making and giving.